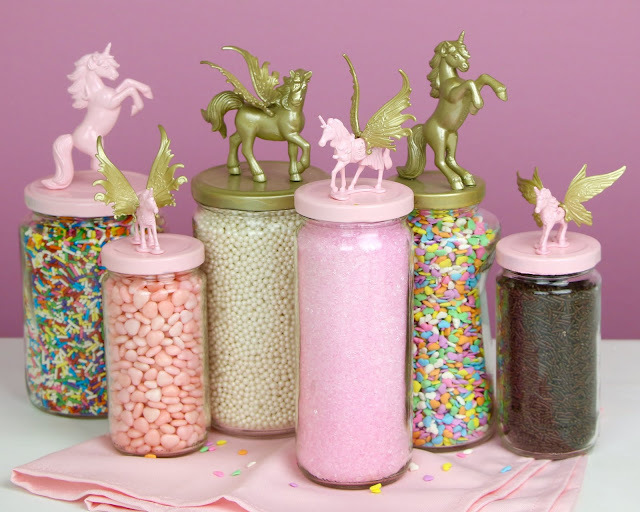 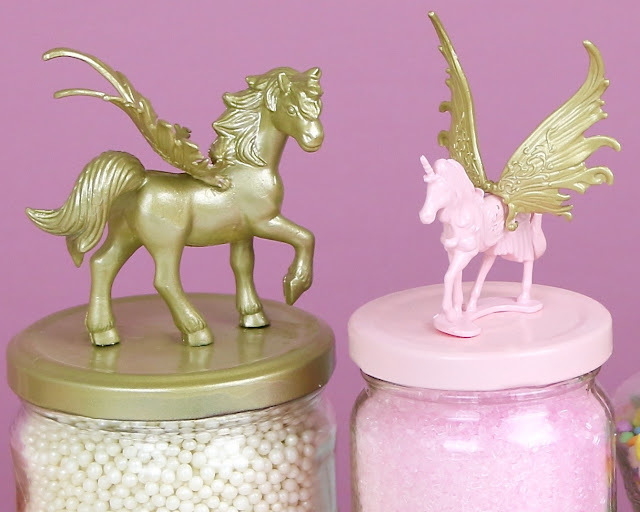 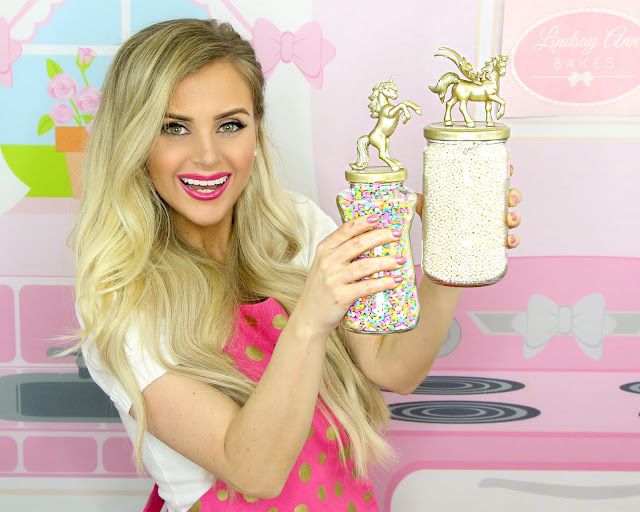 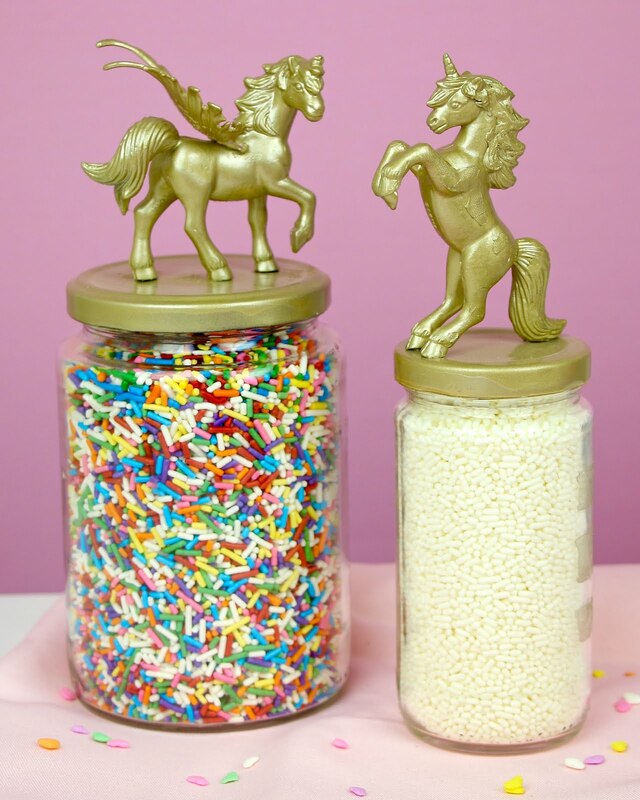 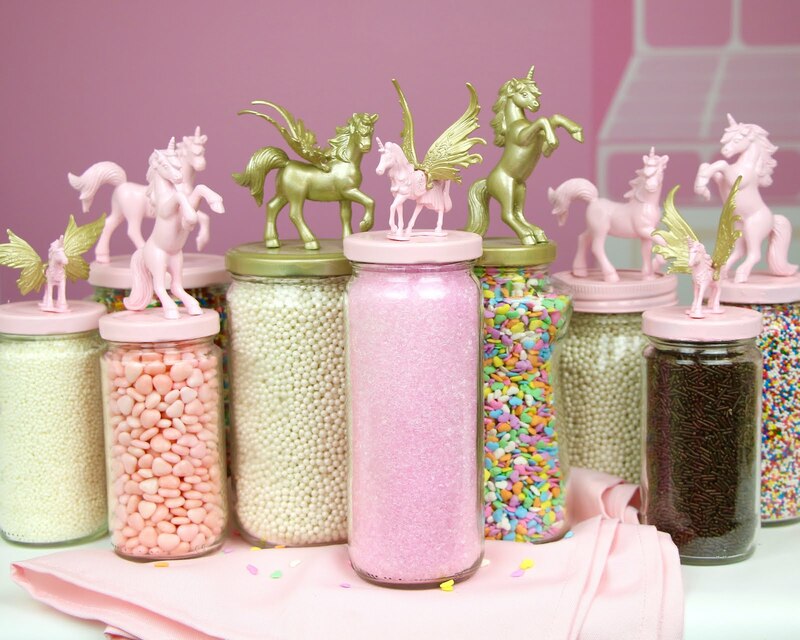 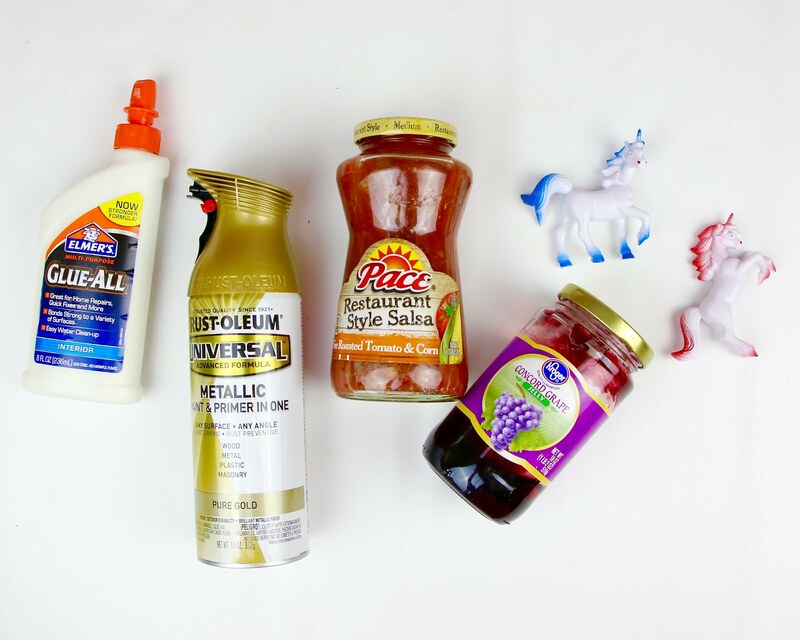 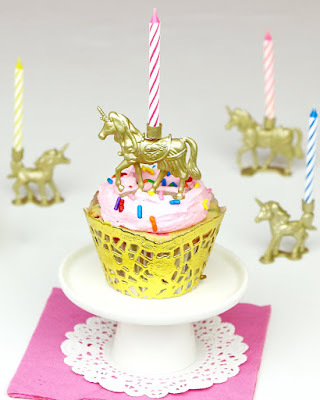 Whimsical DIY gold and pink unicorn storage containers, made from recycled food jars! 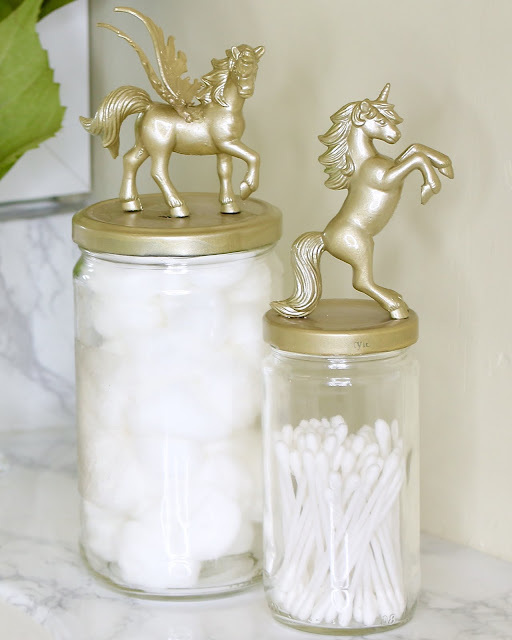 These are so easy and make any space, so much more magical and charming. 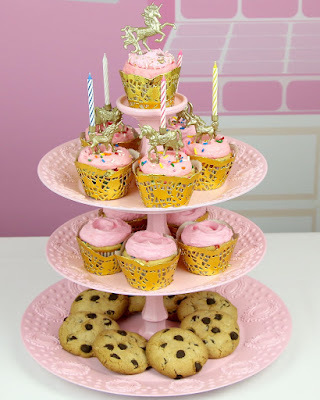 Gold animal figures are so popular and add such a fun flare to any home, so I thought they would be perfect for using as jar toppers, but you can really make them any color you like. 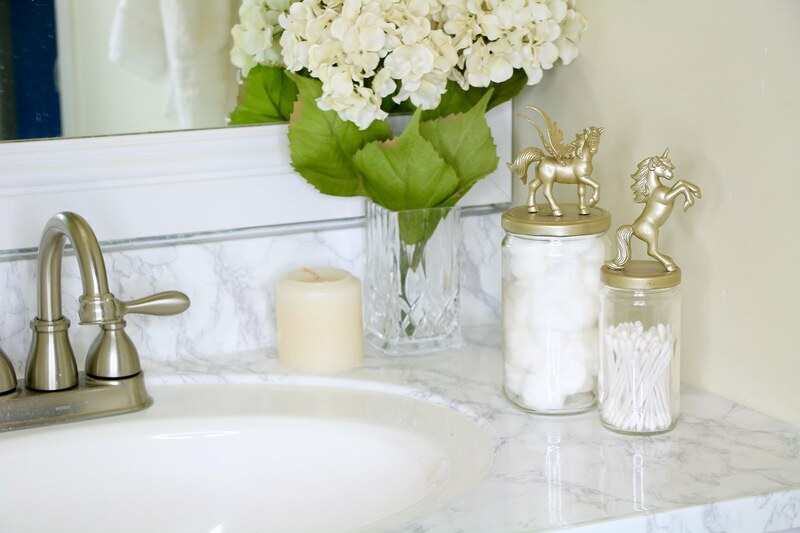 How perfect are these for the bathroom?! 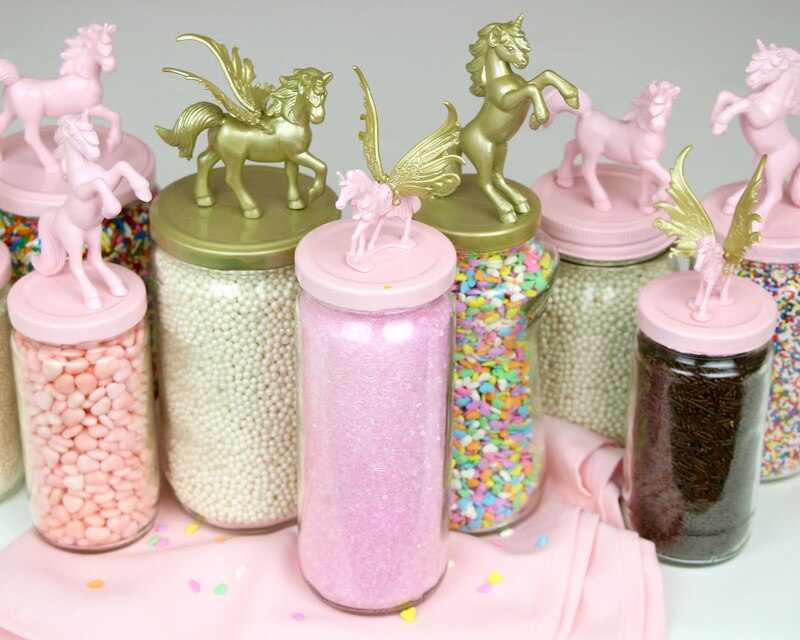 Or even to hold craft supplies! 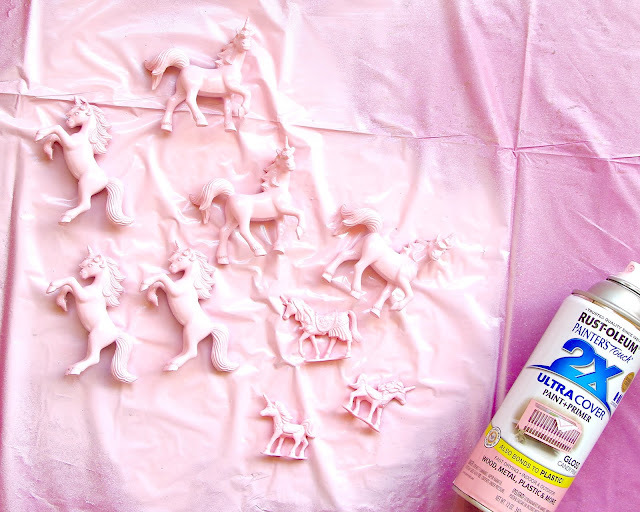 Just spray, let dry, glue on, fill and voila! 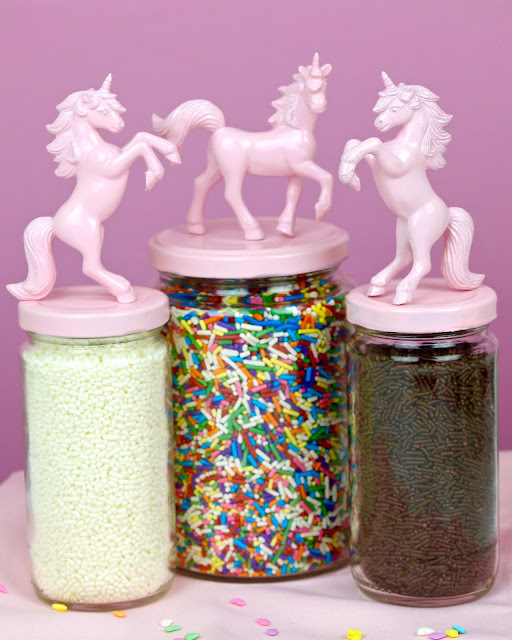 I put sprinkles in my jars, but you can use these for any storage jar you need, from snacks in the kitchen, to cotton balls in the bathroom, to crayons in a kid's room. 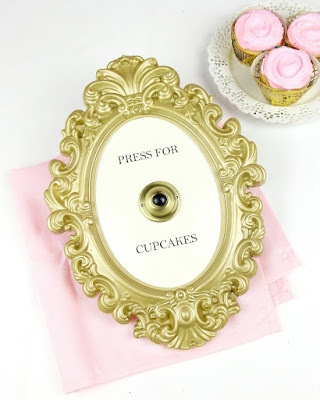 Any color you want to fit any occasion. 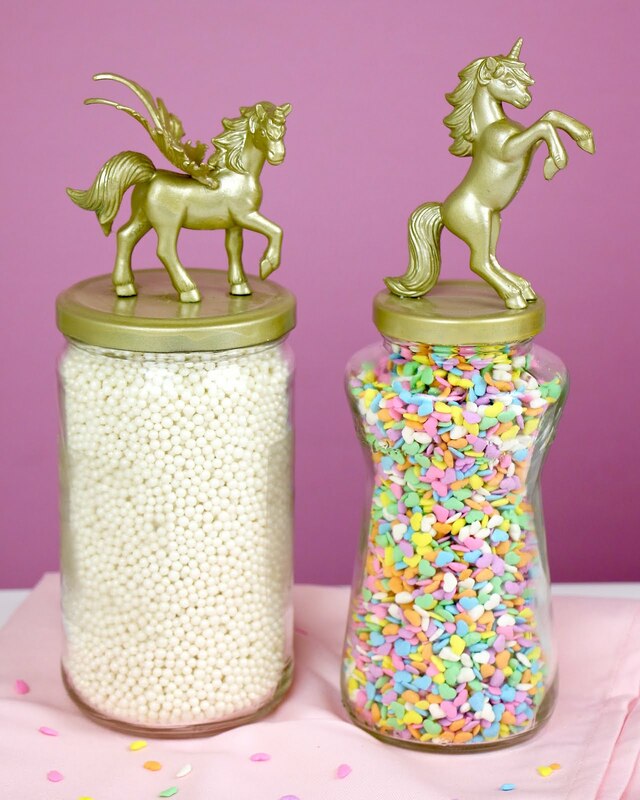 You can use any shape and size jars you like. 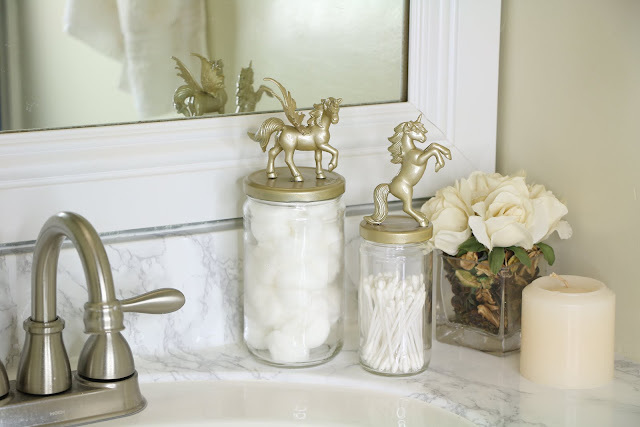 Just make sure you clean them out and remove the labels before starting. 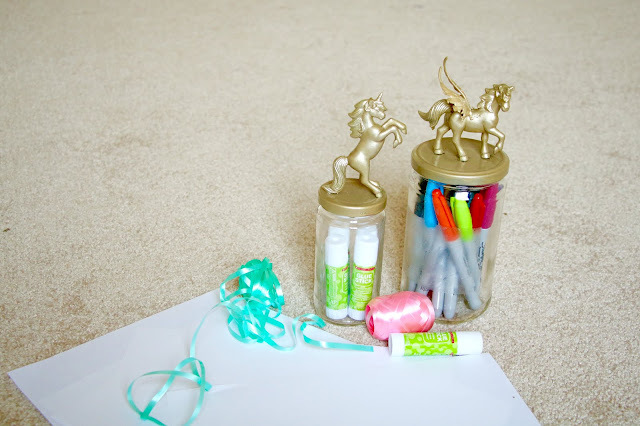 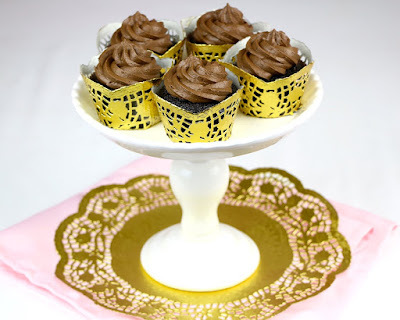 Or you can use mason jars for an easy alternative! 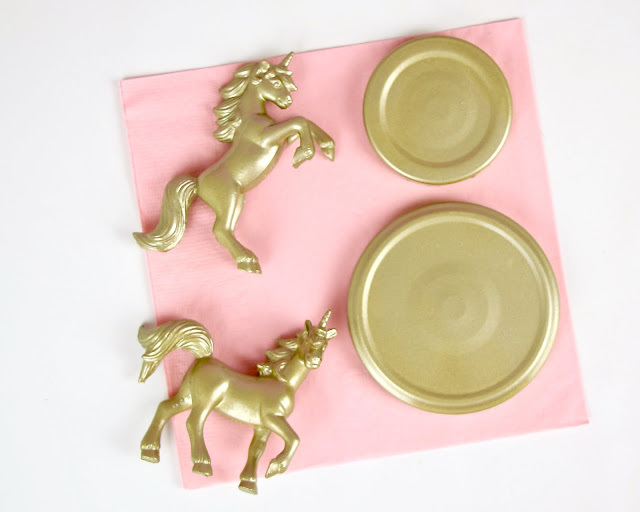 I've made these in gold and pink and love them both so much! 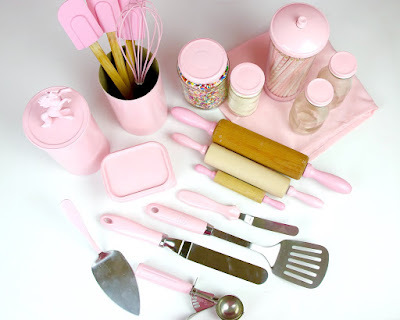 I love to mix up the colors and sizes to create a really fun look. 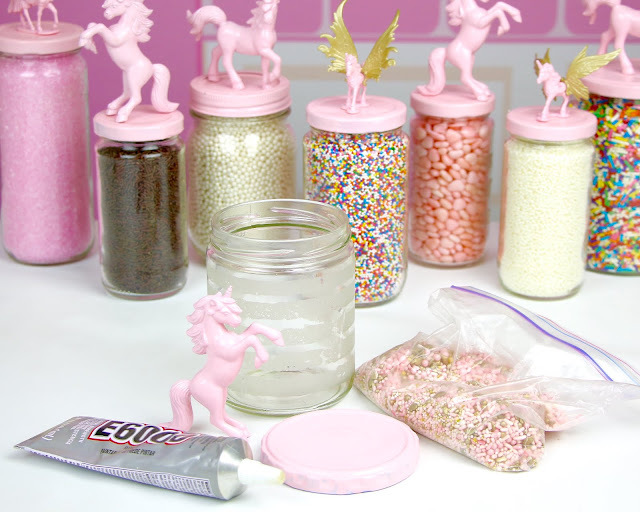 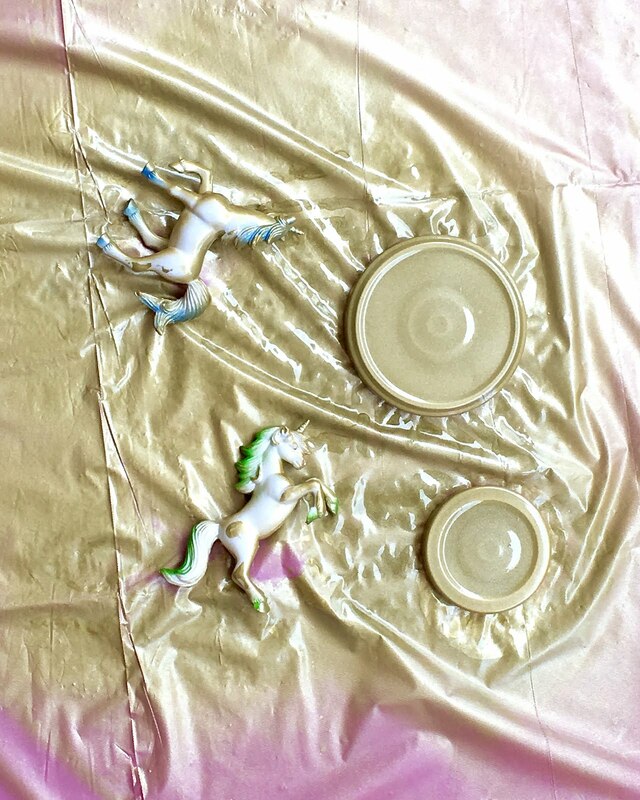 Coat unicorns and jar lids with spray paint, in any color you like and let dry. 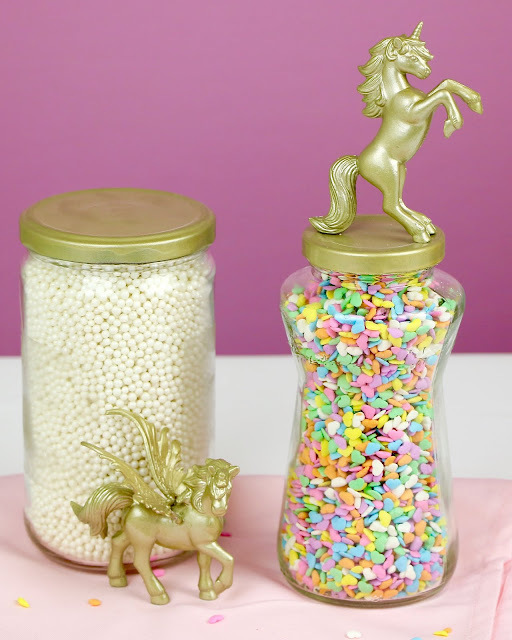 Glue unicorn on to top of jar lid and let dry. Fill with whatever you like for use in the kitchen (sprinkles, candy or snacks), bathroom (cotton balls, Q-tips), kids room (crayons, coins) or office (paperclips, rubber bands, paper weight)!